MISSISSAUGA, Ont. - Police west of Toronto are investigating after a life-saving medical device was stolen from a bus terminal. 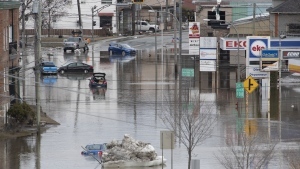 The incident happened Friday afternoon at the City Centre Transit Terminal in Mississauga, Ont. Peel regional police say a male suspect approached the ticket booth and reported that someone in the parking lot was in cardiac arrest. Police say the man then removed the automated external defibrillator, or AED, from its cabinet and fled the scene. 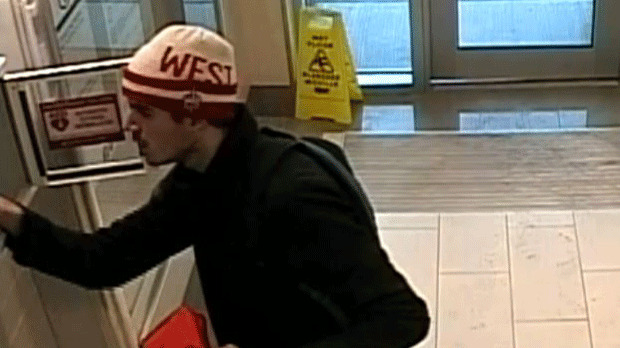 He's described as a white man, 25 years old, with a thin build, unshaven, and wearing a white beanie with red writing, a blue backpack, white shoes and a grey coat.